Key Requirement: Implement an IoT SCADA data collection system. Delivered: Designed, procured and provisioned a set of VMs so they could grow with the project which was likely to be indefinite and at least years of weekly dataset uploads comprising millions of records. 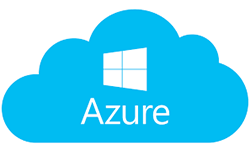 The Azure platform from Microsoft was chosen due to direct working relationships and better selection of VM templates and configuration options, especially for SQL Server being the core of the system. Users were provisioned with their own profile spaces so their individually controlled applications could connect securely with the database backend, whilst reporting (mostly Excel and PowerPivot) could be driven from dedicated database tables. Project was delivered quickly in order to capture and analyse data, and well within budget.